Cicero Group has appointed Fiona Cohen, former senior comms director of global healthcare company Baxter, to head its new healthcare practice. 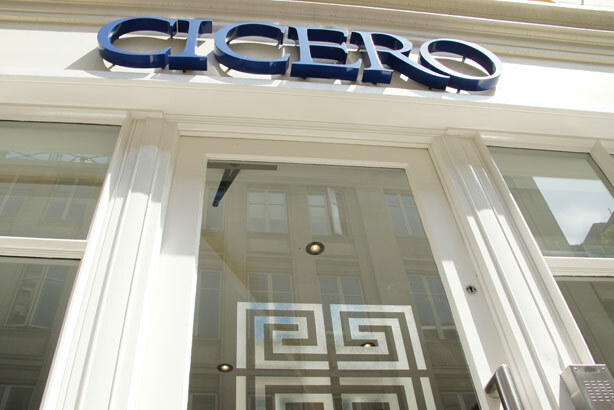 Cicero, which said it experienced double-digit revenue growth over the past year, is also looking at the possibility of entering other PR sectors. In addition, the company is "absolutely not ruling out" acquisitions, CEO Jeremy Swan told PRWeek. Cohen’s new role is head of health, leading a team of about 10 people initially from the existing PR team. The new division will principally be based in London but there will be an international dimension too: the UK-headquartered corporate and public affairs agency also has offices in Brussels, New York and Singapore. The Health Food Manufacturers' Association is an initial client. "Healthcare is a extremely specialised sector and as we always look for expansion into highly regulated markets, this is an obvious route for the business," said Swan. "Fiona’s appointment is a testament to the progress Cicero has made over the past few years and I am confident she will lead the creation of a market-leading team in healthcare PR in the coming years." The news follows last November’s launch of Cicero’s energy practice, headed by former Conservative political adviser Ewan Livingston. Swan said the practice has had "great traction in the market" and the group is working on "several" RFPs. On the prospect of further expansion, Swan told PRWeek: "We are an entrepreneurial company and we want to expand. "Once we have bedded in healthcare, we will most certainly be looking at other markets and sectors, absolutely." Asked if expansion could be via acquisitions, he said: "It might be. We get approached [for acquisitions] on a frequent basis. We have looked at a couple of opportunities." Swan pointed to the group’s acquisition in September 2013 of social media monitoring company Yatterbox: "That’s proved a great asset to us in a social offering. I’m absolutely not ruling anything out." Cohen has worked in PR for more than 30 years, including a decade inside the pharmaceuticals sector. She has led comms at some of the world’s largest healthcare providers including Baxter and Roche. She was also closely involved in the expansion of MSLGroup, setting up three offices across Asia during her time with the agency. On her new appointment, Cohen said: "Having worked extensively across the PR industry, it is rare to find such an established yet energetic firm that has a clear appetite to work in complex markets. Healthcare and Cicero are an obvious match in that regard."